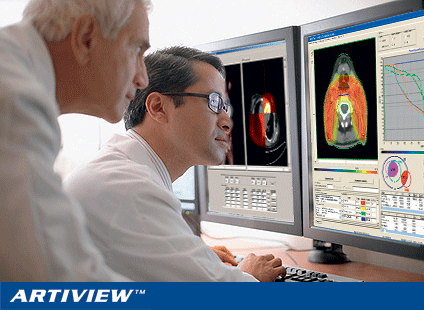 As an innovative, accurate, fullyfeatured and versatile solution, ARTIVIEW is pioneering a new generation of radiotherapy software. ARTIVIEW includes all tools required for plan preparation (multimodality image fusion and contouring) and evaluation of your radiotherapy treatments. ARTIVIEW is compatible with your existing equipment. Once integrated into your network, it enables optimal management of patient images and technical data. Make the clinic available anywhere, anytime.